CYBERPOL & ECIPS Memorandum of Cooperation with Vasil Levski Bulgarian Military Association was signed today in the cooperation in the fight against Cyber Crime and Protection of public safety. 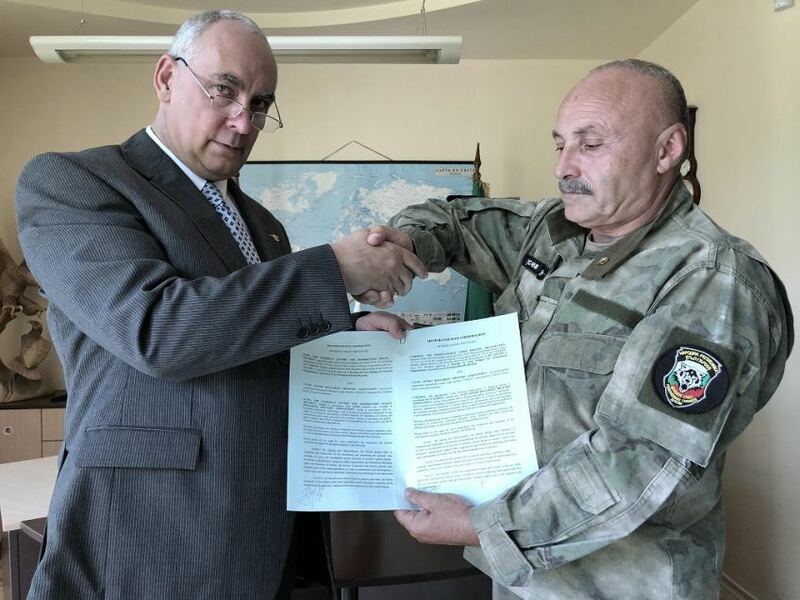 BRUSSELS, Belgium - June 17, 2018 - PRLog -- CYBERPOL THE INTERNATIONAL CYBER POLICING ORGANIZATION BY DECREE Memorandum of Cooperation with Vasil Levski Bulgarian Military Association was signed today in the cooperation in the fight against Cyber Crime and Protection of public safety. The cooperation memorandum includes resolving problems concerning the prevention of extremism, terrorism and international threats in particular the fight against corruption. The memorandum paved the way for the establishment of The International Center For Information Technologies to be established in joint forces. The ECIPS memorandum includes the protection of civil rights and justice in fundamental rights of the United Nations. This memo allowed for the incorporation of 80% reservist across Europe with members to ECIPS making it the largest reservist to date on any International cooperation in the Balkans and the European Union. CYBERPOL PRESS office. CyberPOL sign Memorandum with The International Committee ! CyberPOL Probes into " Digital Time Stamping Processing "